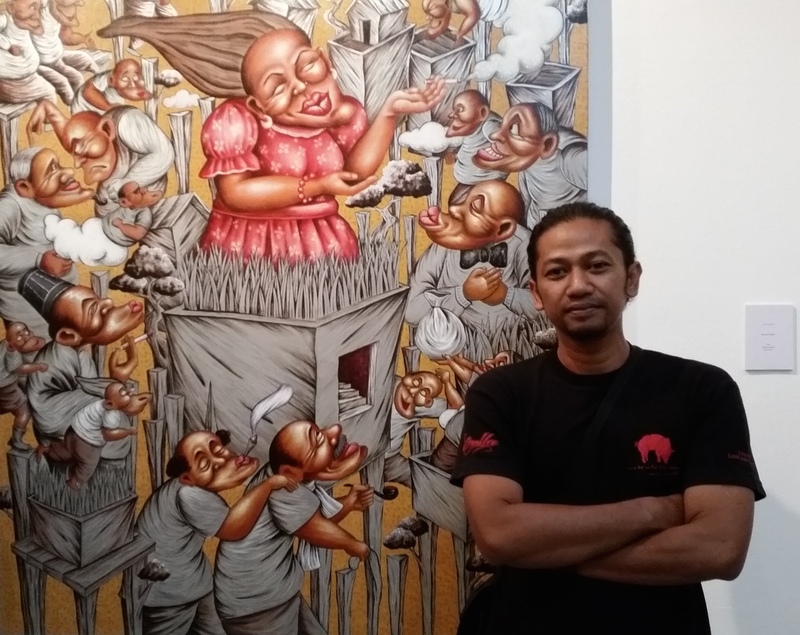 As South East Asia continues to strengthen regional collaboration in the economical landscape, TENGGARA Art Group Yogyakarta makes its mark in the art world in collaboration with HOM Art Trans Kuala Lumpur, bringing two countries closer and in the process, solidifying Asia’s position in the international art world. In the face of progress, ASEAN – a land rich in culture and in resources, has seen much changes in the last decade or so. Industrialisation may be the answer to some countries’ quest for advancement; but does this mean much where a compromise has to be made to the people and the land they love? Mantera #1 is curated by Argus FS, an independent curator and new media artist based in Yogyakarta, Indonesia. Works by TAG’s 9 artists are showcased at Mantera #1 – Agus ‘baqul’ Purnomo, Heri Purwanto, Luddy Astaghis, Suryadi Suyamtina, Januri, Sumbul Pranov, Dadi Setiyadi, Yaksa Agus, Saftari. The diversity of the artist’s styles and culture is the best commonality of Mentara #1, where differences become complementary to each of the pieces. 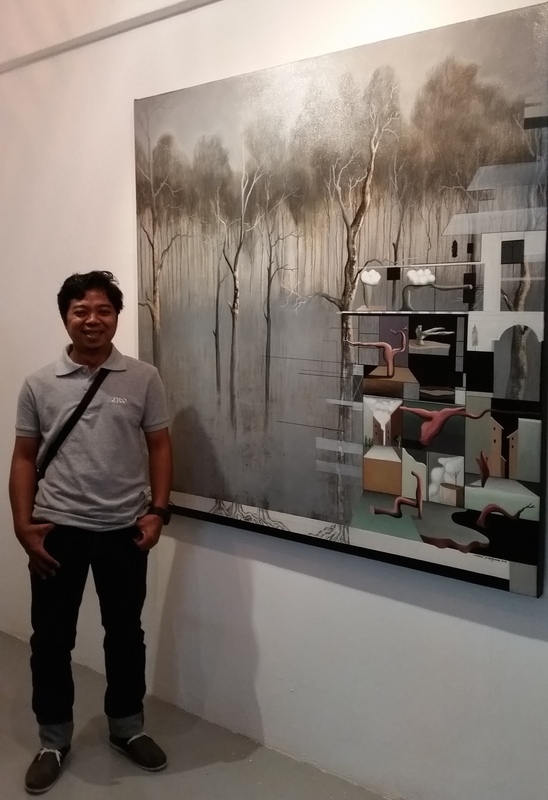 In Floating Land; Now and Tomorrow #1 and #3, Heri Purwanto observes the forms of human civilisations in the context of time; today and tomorrow. Natural landscapes which were once fresh are gradually eroding into barren lands, with hints of the remains of nature becoming a reality, as the tomorrow creeps in with modernity depicted in architectural styles of illustration and urban symbols representing current times. A humorous presentation of the paradoxical views of contemporary community is depicted in Miss Roro Mendut by Luddy Astaghis, where aesthetics and modernity is questioned in the context where the marrying of eastern and western cultures seem like an irony, with the comically inspired expression suggesting that a false impression of society is evident in the current Asia. 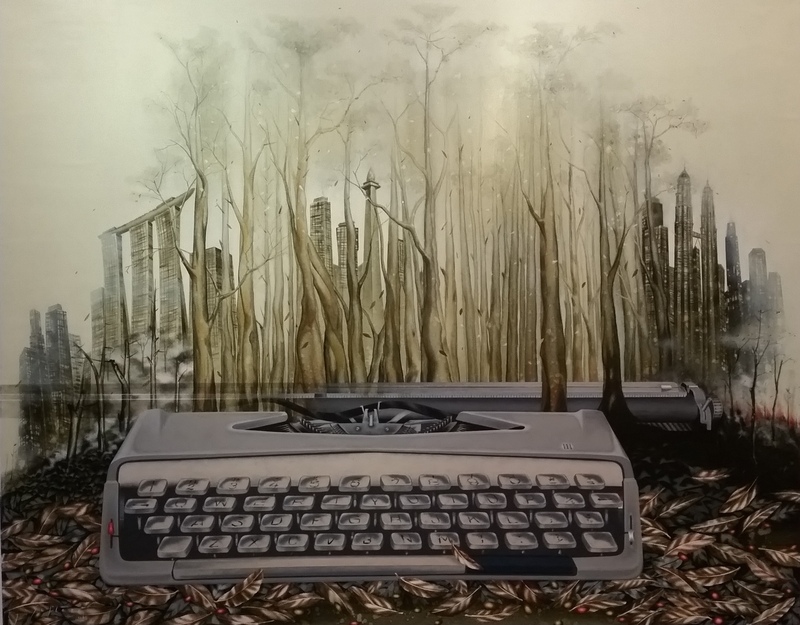 Amongst the pieces, Musim di Akhir Tahun by Saftari commands attention, where a larger than life typewriter in the foreground of foggy depleting woods and skyscrapers emerging in the background alludes to the much needed contemplation about health, environment and the economy. Sumbul Pranov’s view of consumerism injected a sense of amusement to the contemporary showcase, with a candy coloured peanuts – being the symbol of contemporary men floating in the space between the past and future’s hope, embracing current trends and cultures much to the abandonment of individual identity. 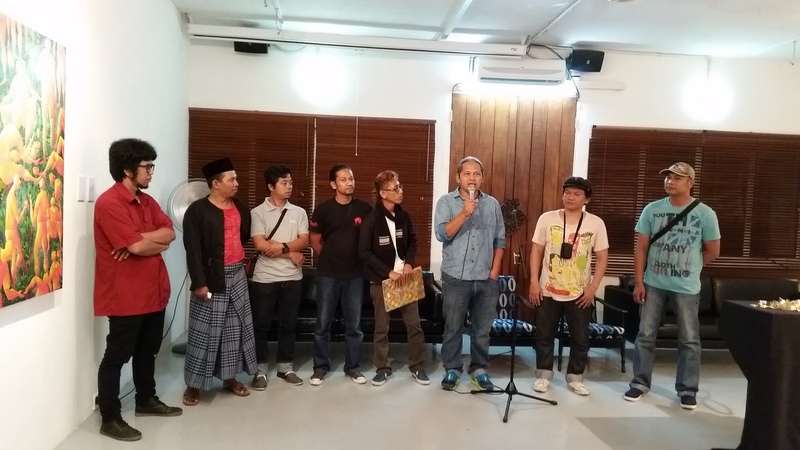 Contemporary Mantera #1 is a success story of sorts – it is a true reflection of regional collaboration in the arts – as Yaksa Agus expressed in his opening speech, our countries’ histories have gone way back, and it is with joy that we are where we are today (in collaboration now). Posted on February 1, 2015 February 21, 2017 by ChalkandRaddyPosted in Visual ArtTagged HOM Art Trans, South East Asian Art, Tenggara Art Group.